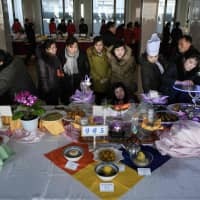 PYONGYANG - Lined up in cavernous rooms at a state restaurant in Pyongyang, North Korean chefs carefully assemble their dishes, watched by crowds of onlookers at a cooking competition in a country that suffers chronic food shortages. From samsaek gaepitok, or three-color stuffed rice cake — delicately formed green and white parcels of red bean paste — to yak kwa, fried wheat biscuit glazed with honey, or courgette stuffed with meat, attention to detail is key to catching the judges’ eyes. 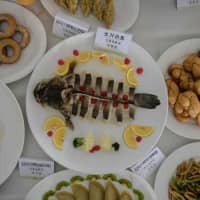 Around 300 cooks are competing in 40 dishes over three days at North Korea’s national cooking competition, with the winners receiving cookbooks and equipment as well as diplomas and medals. Onlookers — mostly women in warm winter coats — gathered around each station in the unheated venue, some of them filming the contestants at work on their mobile phones for future inspiration. 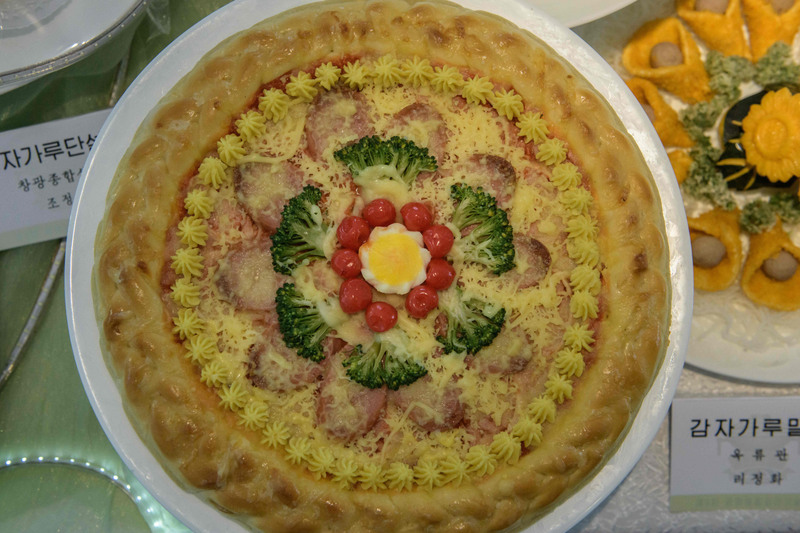 “The reason why Korean food is excellent is that it is characterized by its clear and fresh flavor, without any mixed feelings,” said judge Han Jong Guk, a pastry chef by trade. “For example, fish dishes taste of real fish and chicken tastes like real chicken. This is the main characteristic of Korean food,” he added. 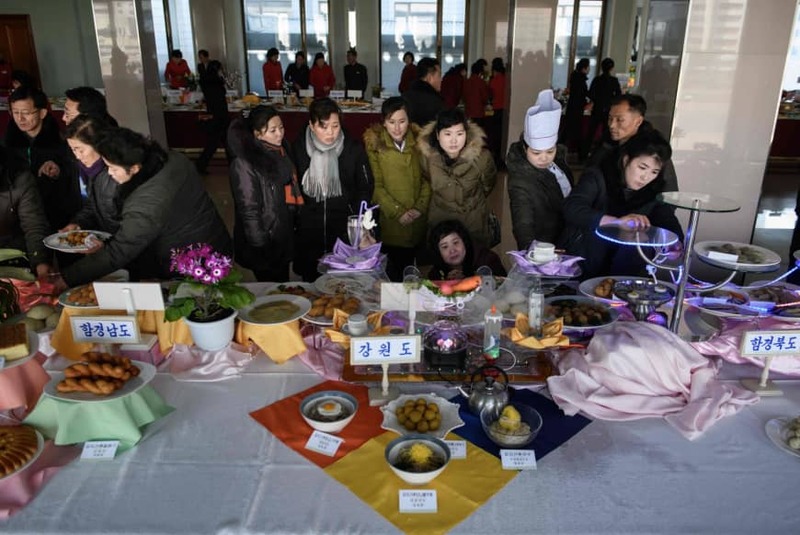 But the reality is that beyond the restaurant’s granite columns and the privileged lifestyles of the capital’s residents, North Korea is unable to feed itself. Ahead of his second summit with leader Kim Jong Un, due in Vietnam at the end of the month, U.S. President Donald Trump has dangled the prospect of the isolated country becoming an economic powerhouse if a deal can be reached over its nuclear weapons. While the 1990s famine known as the Arduous March — when hundreds of thousands of people died — is in the past, North Korean agricultural yields are well below global averages, and the population remains severely undernourished. “Chronic food insecurity and malnutrition is extensive,” the U.N.’s Food and Agriculture Organization said in its 2019 Needs and Priorities document this week. No less than 43 percent of the population — 10.9 million people — are affected by food insecurity, it said; one-third of children do not receive the minimum acceptable diet and 1 in 5 suffer from stunting caused by chronic malnutrition. “Each year, the domestic food production does not meet needs by approximately 1 million tons,” it added. As well as the shortage of arable land — the North is largely mountainous — and periodic natural disasters, the North lacks modern agricultural techniques and fertilizers. 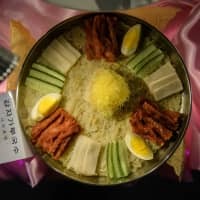 Unlike rice paddies inundated with water, potatoes do not have to be grown on flat land, and Pyongyang is pushing the humble spud as a staple food. Kim has visited a potato powder factory several times, pictured on one occasion last year lying back with officials on a mountain of tubers, the underground stems of potatoes. 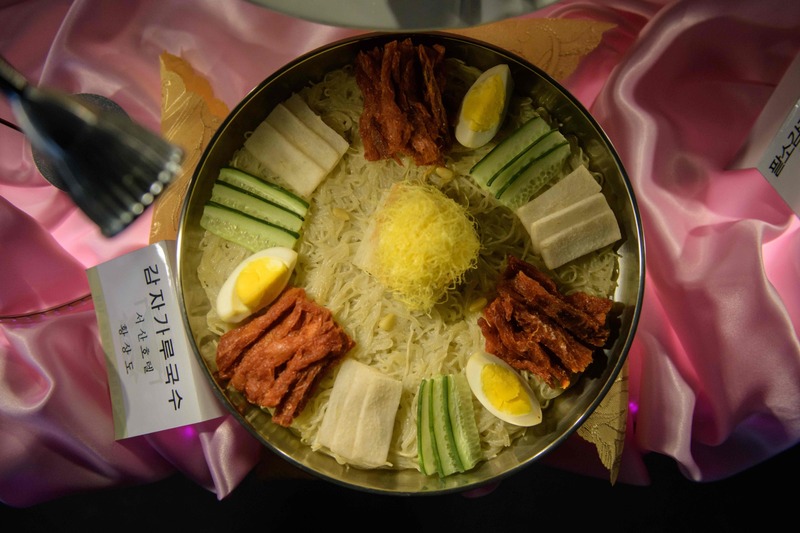 The Pyongyang cooking competition is part of the recipe. 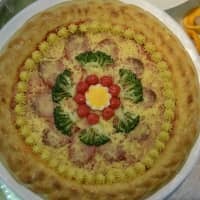 In one room, groaning tables were laden with dishes made from potato powder — pizzas, dumplings, noodles, even chocolate cake. 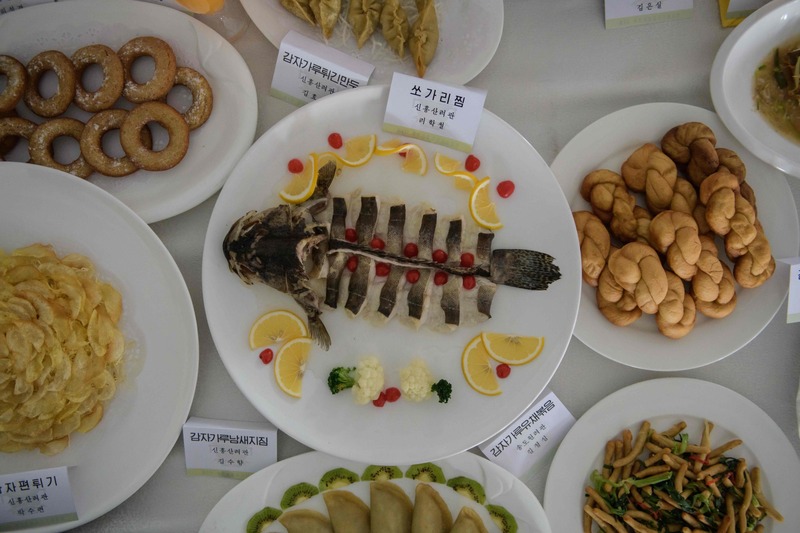 Competition organizer Kim Kum Hun, of the central committee of the Korea Cooks Association — who says his favorite food is steak — is an enthusiast. “Of course, rice is our main food, but bread and potato powder can be our staple food too,” he said. Potatoes, he explained, yield 20 tons per hectare, while rice produces less than 10 tons. The tubers are also far more profitable once refined into powder, offering both growers and processors a financial incentive as Kim introduces more market forces into the economy, still impoverished after decades of mismanagement. Pyongyang has also been subjected to multiple sets of sanctions over its atomic weapon and ballistic missile programs. But the North has long prided itself on its self-sufficiency — something that may limit the appeal of Trump’s blandishments. And culinary official Kim dismissed concerns over a country affected by food shortages holding a cooking competition, insisting on the inevitable victory of socialism. “Those who are surprised to see a cooking festival here say that because they don’t know our people well,” Kim said.